Are you one of those people that can’t sleep without a fan on? Well, then this article isn’t for you. However, if you’re the type of person that needs calm, blessed silence to drift off peacefully, then this is exactly the article for you! 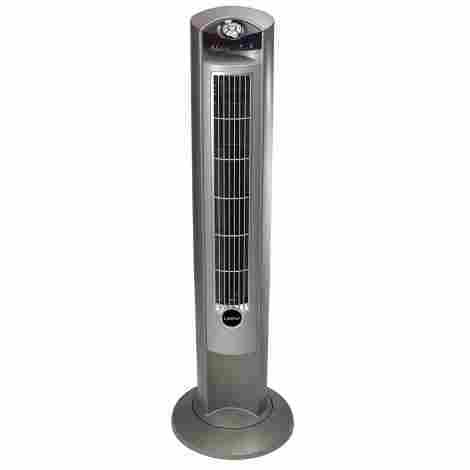 While there are multiple cooling unit styles that range from handhelds to large towers, the most popular remains the traditional fan. This method of cooling off can be noisy, however, and might even keep certain people up. So, what do you do? Do you stay miserable and hot, or do you compromise your sleep? As it turns out, you don’t have to choose. Bladeless fans are one of the greatest inventions of all time. No, we’re not being dramatic. This is just a fact. They silently cool you off using the latest technology. Today we’re going to introduce you to the top ten products currently on the market. These are the best that money can buy, and sport some amazing features that we love. We’ll go over each one briefly, and then get into some criteria used for deciding which ones would make our list. Enough of that, however. Let’s get down to business! This is probably one of the weirdest devices we’ve ever seen, quite frankly. It’s shaped like an egg… but, like, a stylish egg. You can see above exactly what we’re talking about. We’re kind of digging it, though! After all, we’re heading into a modern age. What better way to celebrate all our technological advancements than to buy something that looks like it’s straight of Star Trek? And, y’know, it’s a damn good purchase. Waft has way too many features that really put it on the forefront for us, so let’s explore a couple of our favorite ones. Most people still sleep with a “nightlight” of some sort. This is less from a fear of the dark, and more for getting to the bathroom in the middle of the night without breaking your toes. Waft offers a two-in-one function, doubling as a source of lighting. There are 16 choices for color, and you can adjust brightness to your liking with a remote control. Now that’s some seriously cool tech! This also makes it a great gift for dorm rooms, but don’t limit yourself there. Pretty much anybody would love to have the Waft. A common complaint about this style of cooling unit is that they only focus on one spot. So, you either choose to have it blow directly on you all night (distracting, to say the least), or you can point it away from you… which means you aren’t getting the full effect. The Waft has a wide oscillation, sweeping around effortlessly to make sure that a wide swath of the room is constantly covered. Honestly, even though the price tag is high, we’re so in love with this device it doesn’t even matter. We really think that this is a steal! The amazing features that are built into the Waft are a great indicator of this high value. And also, y’know, it’s just plain cool. That being said, it is very expensive. Like, more expensive than you would think a fan should really be. It is cheaper than portable air conditioners, however, and there are certainly more traditional styles that run about the same amount of money. This is a special two-in-one unit that we’re pretty dang excited about. The Waft is an amazing unit, but this model by LoHome also includes a dehumidifier. It was a tough battle for first place, and the LoHome is a real close second. One of the only reasons that this isn’t at the top of the list is that it’s a desk model, and therefore not quite as efficient at cooling. However, this makes it perfect for dorm rooms, your bedside table, and office environments.. The LoHome is a small enough model that you can transport it with relative ease. It’s perfect for anybody who works in an office, since it’s silent and sits right on your desk. If you’re sitting for long periods of time at all, this is a great go-to for cooling down. Use it in the living room while you binge Netflix (we see you, you aren’t slick). You can even use it while camping! Wherever you want to use it, the LoHome will be right there, plugging away. Sometimes cold air can be pretty dry, which is terrible in already dry climates. If you suffer from dry skin, nosebleeds, or any other dry-air related ailments, then this is a great choice. 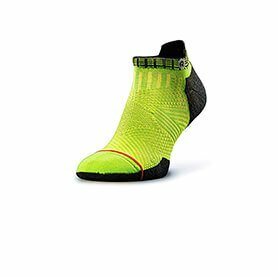 It makes sure that there is enough moisture in the air to keep you cool, but not uncomfortable. This is important for skin health, as well! Keep yourself more comfortable during these trying times in the summer sun without sacrificing your skin! We’re honestly pretty taken aback by how affordable this unit is. We were expecting closer to the hundred-dollar range, so seeing the amount it actually costs was pretty surprising. This is a seriously great deal, guys. If you’re looking for an efficient, quiet cooling unit for your desk, that ALSO is a humidifier, then this is your best bet. We can’t say enough about this unit by LoHome! It’s really just that great! This Lasko model is an alternative to the Dyson. It has many happy customers backing it, and many happy reviews. While it isn’t quite as fancy, it is definitely a great buy that has many of the same features. You’ll love the sleek, slate tower and the grating that it features, which adds texture to an otherwise blank slate. 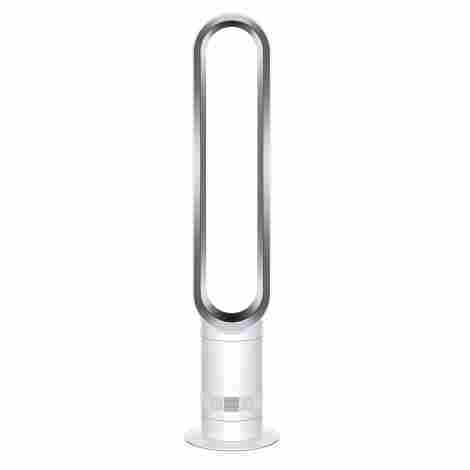 On top of this, the Lasko Wind Curve has some great features regardless of the lack of “bells and whistles” that you may see featured in other units on this list. Let’s look at some more info! As with all of their products, Lasko offers a very long guarantee that their product is going to work, and work well. Any time we see a manufacturer put an extended warranty on a product we get pretty excited about it. After all, this means they’re very confident in what they create, and they’ll stand by their product no matter what happens. Whether it’s a part that breaks, or the unit as a whole starts malfunctioning, Lasko is here to help. The issue with fans that feature blades is the amount of dust they can send flying around. They’re also a pain to clean because of their set up. This unit by Lasko uses patented technology to avoid using blades, which means you can clean it so much easier than other units. Just use a washcloth to spot clean, and you’re good to go! This also makes it a great option for people with allergies, since it won’t spread around dust or other allergens. The Lasko Wind Curve is definitely an affordable option, and is our alternative to the more expensive Dyson Air Multiplier. This is a great choice for the money-savvy consumer who wants to save a few bucks without compromising quality. While there aren’t any fancy bells and whistles, we think that the product itself is pretty solid as far as bladeless fans go. The design is more traditional, which may suit other people better than an art-deco, modernized version. The BedJet is exactly what its name suggests: it’s a model made for your mattress! While this means it’s very usage-specific, we still think it’s definitely worth considering his unit is super helpful for those that might suffer from sleep-related disorders, or those who just have trouble falling asleep in general. It’ll keep you cool when you need it, but also has a heating mode so you can use it all year round. Let’s get down to some more details, shall we? This model sports some seriously cool technology. There is an app you can download which will let you program it to your heart’s content. It uses biorhythm temperature technology to keep you as comfortable as possible. On top of that, it can entirely replace your alarm clock. No more noisy wake-up calls! Instead, choose to have your mattress change temperature gradually until you wake from your slumber. One of the worst parts of the hottest times of the year is how sweaty you get while sleeping. Everybody knows the feeling of waking up in drenched sheets, and feeling super nasty about it. You dread going home to that gross mess all day! BedJet keeps your bed ventilated, which makes it a more enjoyable, breathable experience for you on the whole. Wick away sweat and moisture, and stay comfortable the whole night! If you thought this unit would be fairly cost prohibitive… you would be right. Honestly, it’s one of the most expensive units on the list. This alone makes us cringe a little, but the added features are just too good to pass up. If you can spend the extra cash then we highly recommend investing in the BedJet. It offers so much for the user, and it will hardly be a purchase that you’ll ever regret. So, spend a little more, and get a helluva lot out of it! Ultra Brite is living up to their name with this fantastic LED lamp made just for your desk or bedside table. It offers you relief from the heat, alongside extra lighting. This is great as a reading lamp, or a nightlight. 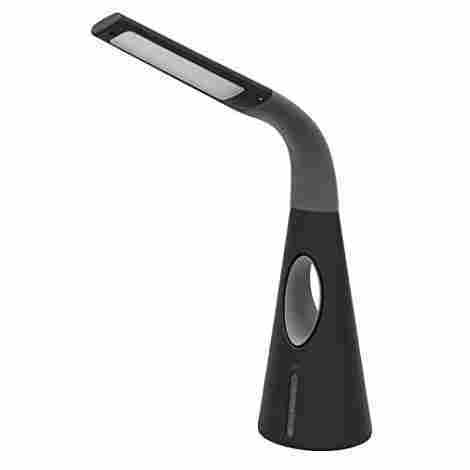 Ultra Brite has included touch controls, multiple lighting and cooling modes, alongside a couple of USB ports. The added benefits from these features make this a great option for people across the board. Sometimes “ultra bright” can be, well, too bright. If you’re worried about the level of lighting this will provide, we’re here to assure you that it isn’t going to be a problem. Ultra Bright includes three lighting modes so that you can make sure the lighting is ample, but not annoying. If you need a bright light on your desk for work, or you want a dim light for moving around in the dark, Ultra Bright may be the answer. We love touch control. Like, a lot. Not only does it make things infinitely easier since there are no buttons to break, but it also is… cool. Yeah, it’s just plain cool. It makes us feel super futuristic, and fancy. Touch control isn’t just about putting on the ritz, however. It’s also great because, again, it makes the unit more durable. There are less parts sticking off of the unit to break off, so you’re able to have more use out of it for longer. Whether or not this unit is worth the price is entirely up to the reader. It is a little pricier than we’d like to see, but there are so many great features it’s hard to tell if it’s worth it or not. Obviously we think ths model is great, and it has rave reviews. This should point you toward it being totally worth it. However, it is a small unit that won’t cool an entire room. It’s very usage-specific in that it can only be used in certain situations effectively. So, if you need a new bedside lamp, or a fan for your desk, give it a whirl. It won’t disappoint! If we have any Portal fans reading, then you’ll especially appreciate the look of this model. The PureFlow looks like something out of a dystopian novel. Like a camera in a futuristic society on the brink of destruction that constantly watches you as you go about your day. Creepy, but totally aesthetic. It’s a fantastic unit for just about anybody, so long as you can get past the feeling of being watched. We’re just joking! It really is a fantastic unit, and we think you’ll think so, too. Cooling units that have blades can be dangerous to have around children and pets. Unfortunately, they might be the cheapest models, but they’re also the riskiest. In order to ensure the safety of your precious fur babies, and human babies, make sure you go with an option that will be safe for the entire family. The lack of blades means that you don’t have to worry about little fingers, or paws, getting hurt! Never, ever deal with not being able to find the right setting ever again. You can adjust this exactly to your specifications so that you’re cool, but not cold. 12 speeds is one of the highest amounts we’ve seen, and it certainly puts the PureFlow QT7 ahead of the pack. You’re going to love how effectively it puts you into the driver’s seat! We have to admit that this is on the expensive side. It’s totally worth the price, of course, otherwise it wouldn’t have even made the list. There are rave reviews by happy customers that more than prove this point. We also love how modern it feels, and how simplistic the design is. PureFlow proves that you don’t have to sacrifice aesthetic for quality and power. They pack off of it into one, sleek package that you just have to try. Dyson is probably one of the most trusted names in America. This is a brand that has taken the USA by storm, and is present in almost every home. From their vacuum cleaners, to their cooling units, and more, Dyson is a great option for anybody looking for quality craftsmanship. Their products come at a premium, but for the quality offered they simply can’t be beat. It’s no secret that their Air Multiplier unit offers the same great quality as the rest of Dyson’s line up! If you want to save some money then this feature will definitely be interesting to you. 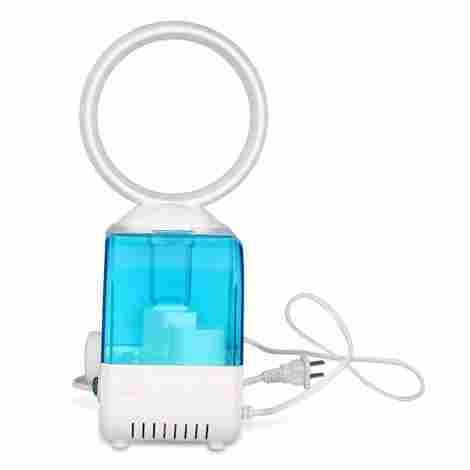 You can set a timer so that this air multiplier tower turns off once you’re soundly asleep. This means that it is an incredibly efficient model as far as energy goes, and won’t run up your bill when you aren’t even awake to enjoy it’s usage. Lull yourself off to sleep in a nice, cool room, and don’t worry about waking up to a huge bill in the mail. Oh, boy. Somebody lost the remote again! You can yell and complain all you want, but this is an issue that plagues families across the globe. It’s like a unifying force that we can all understand regardless of anything else. Dyson includes the solution, however! The remote for this unit is magnetized and curved so that it fits perfectly onto the unit for easy storage. Say goodbye to saying goodbye to the remote!. While Dyson is a trusted name with great products, we do have some concerns. There are troubling reviews that talk about the longevity of the unit, as well as the durability. However, the 2-year warranty is enough to make us overlook that. Returning a product can be a hassle, though, so do keep it in mind. Overall, we really live this unit. It is not a cheap alternative, however, and the price tag is really where it loses some points value-wise. If you like quality, however, and are a fan of Dyson then give it a shot! Though our list already features a few Dyson brand products, we couldn't resist including another one. 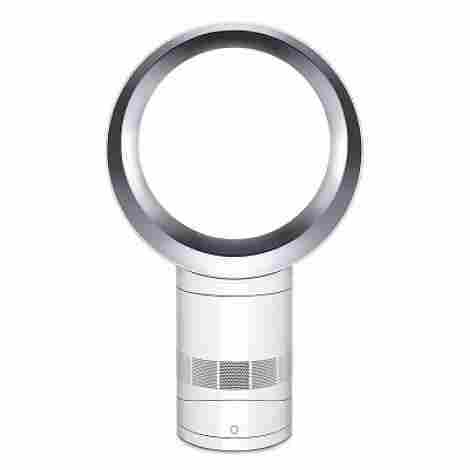 After all, Dyson was one of the main brands to bring the bladeless fan technology to life. This product is a tabletop version of of one of the other options on our list - the Air Multiplier. Bed time is hard. By the time our heads hit the pillow at night, we don't want to be bothered with getting up to change fan settings or to turn the unit off. This product comes with a remote control that has ten different airflow settings. It's also magnetized so you can store it directly on the machine which means there's a less chance that you'll lose the remote! Score! This tabletop option features a built-in sleep timer. Are you hot when you go to bed at night but wake up freezing once the ambient temperature in your house cools off? The sleep timer function for this unit will be helpful for you, then. You can program the unit to turn off anywhere between 15 minutes and nine hours after starting the machine. This product comes with a two-year parts and labor warranty. This shows consumers that this is a brand that stands behind the quality of their products. While the price tag may be a little high for a tabletop option, the fact that it is backed by the warranty makes it worthwhile. That’s right, folks! Another product by one of the best brands in the business. There’s a reason that so many people love Dyson, and we just had to display another product by them. 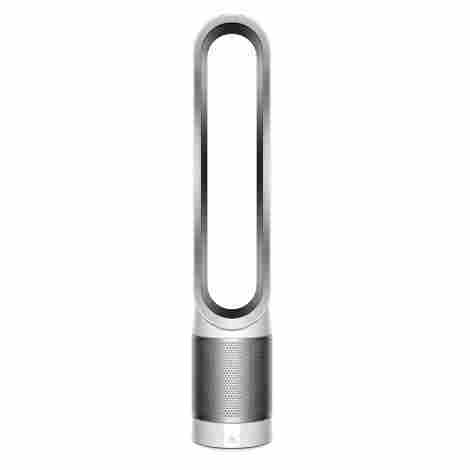 This unit is somewhat similar to the Dyson Air Multiplier. You can think of the Cool Link as the “fully loaded” version. Y’know, the Air Multiplier is the base model, and when you want the “luxury experience”, you upgrade to the Cool Link! We’re really excited to talk about this model more in-depth, so let’s get to it. You read that right. This thing is Wi-Fi enabled! Not only does it offer the same great features the Air Multiplier does, but it’s also super high-tech! This is absolutely a great model for those who are always looking for the next big thing. The Cool Link will send your phone automatic updates on air quality, temperature, and more. It also allows you to operate your cooling unit from anywhere. Leaving the office and want to come home to a nice, cool house? Open the app, turn it on, and voila! How many people do you know that have a fan which hooks up with Alexa? Probably not very many, if any at all. Like we said, this is a model that is absolutely best suited to trailblazers of tech. Those brave souls who venture out into unknown territory, forging ahead and letting the rest of us know how glorious the future is going to be. 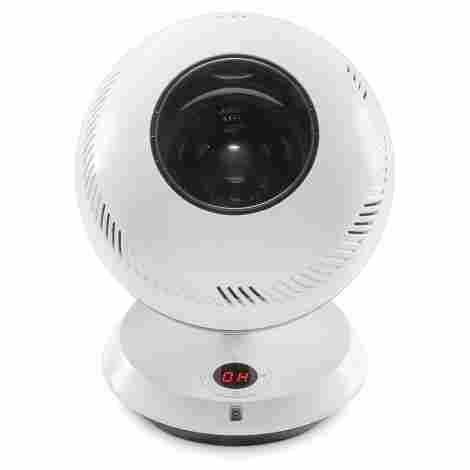 So, if you’re looking to expand your Smarthome collection, this model would be a good place to start!. We’re going to go ahead and warn you that it is incredibly expensive- like, as expensive as you could imagine. Some might be comfortable paying that right up front, regardless of the sale. However, if you’re hesitant about dropping a few hundred on what is essentially a fan, now would be the time to jump on this deal. When it isn’t on sale, however, we don’t rate it as having a great value. The product itself is fantastic, don’t get us wrong, but it comes at a shockingly high price. You’re covered in sweat, sticky to the touch, and an absolute hot mess. We get it. Truly, we do. Many of us live in hot climates, as well, so the need for air conditioning is real, folks. That’s why we created this guide! It was almost a selfish decision, really, since we needed to look at these products anyways. With summer upon us, the temperatures are rising and the sun is scorching. It’s the perfect time to hide inside and keep out of the open air. But, that isn’t all that you need to do to keep cool. Unfortunately, the inside of your house can be just as sweltering as the outside world. So, to avoid this, invest in a portable air conditioner! These bad boys will keep you from all sorts of heat-related ailments, and allow you to breathe with ease. There are way too many benefits to having a cooling unit in your home that can be moved from room to room. Purchase one today and find out why they’re so great! We wanted to choose products that offered a variety of advanced functions. Of course, we also chose some models that are more friendly with the less tech inclined. There is, however, a growing market for highly advanced products that give you full control over your environment. In order to ensure that we gathered the right models to meet this demand, we looked at two pieces of information which we’ll give over in-depth below. Bluetooth enabled: Having a bladeless fan which is Bluetooth enabled is so important for so many reasons. 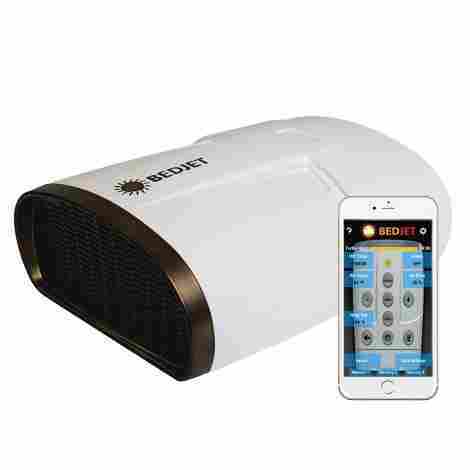 Bluetooth means being able to control your cooling unit almost anywhere, and also gives you the ability to use it with other smart-home techs. This also generally means you can download an app to control it, although that isn’t always the case. Apps: As we mentioned above, having Bluetooth sometimes means the model will come with an app. These are glorious and offer an amazing amount of information. For example, most of them will tell you what the air quality is in your home. That’s a pretty nifty trick! Nobody wants a noisy unit that causes a ruckus while they’re trying to relax. Of course, there is a population that needs white noise to sleep… but they normally go with a more traditional design to get the desired effect. Most people looking at these models specifically want a quiet experience that allows them to forget the cooling unit is even running. While there are a couple of models that don’t meet this criterion the vast majority do. We just wanted to make sure we could please as many people as possible! Having complete control over your cooling unit is crucial to its successful operation. There are a few other things to consider, as well! A bright display, for example, means that you can see the unit successfully in the dark. That means no lights when you need to change a setting in the middle of the night! Let’s get into things on a deeper level, however. Remote control: You always want to have a unit that also has a remote control. This allows operation of the device even from your bed. A remote control ensures that you are able to remain in charge of cooling without missing a beat! Display: An LED display is the best one you can get. So, look for LED first! We love touchscreens, but also keep in mind that if they malfunction it’s a much more costly fix than one that has buttons. Whichever you choose is up to you! It really depends on your personal needs and preferences. App: And last, but certainly not least, we’re back to apps! Apps are amazing when it comes to active control. Generally speaking, you can change any setting you want, and even remotely start your fan. Apps are great for a number of reasons! The last piece of criteria we looked at was the overall power packed into the product. It doesn’t make sense to invest in something that won’t cool the whole room. This ties in pretty strongly to noise level, as well. When you find a bladeless fan that is quiet, and also powerful, you find a perfect mix! Every unit we offered today is fairly powerful, although some miss the mark a little bit in this regard. Even if they do, we still found some super redeeming features otherwise. Sometimes you have to compromise your wants a little bit before you can find the right fit for you. That’s just expected! Q: Most of these units are pretty expensive. Are they all that much? A: Unfortunately, yes. Of course, you can totally find less expensive choices! They probably won’t have quite as many features, however, and you probably won’t get as much out of them. It pays to go the extra mile monetarily when you’re looking at a summer necessity like this! Q: How powerful do I need mine to be? A: That depends on the size of your living space. If you want something that’ll cool a huge living room with vaulted ceilings, then you’re gonna need a whole lotta power. However, you can get away with a less expensive model if you have an apartment. Q: Are these a safer alternative to traditional models? A: Absolutely! Fans with blades can pose a threat to little fingers or curious paws. Both animals and children can get some nasty boo-boos by putting their extremities where they don’t belong. You can feel a lot safer knowing that you’re taking a potential danger out of the picture completely by getting rid of blades. Q: Do any brands stand out? A: Every single one we featured today. Of course, there is one brand, in particular, we can’t help but think of. Dyson is a leader in this industry, and in many others, as well. We featured a couple different designs by them for this reason! If you want a solid, hardy workhorse that packs in some pretty sweet features, Dyson may be a good place to start looking.